This weekend I was putting together a couple of gift baskets for friends, but it just felt like something was missing. I decided to surf the Internet for some last minute inspiration. 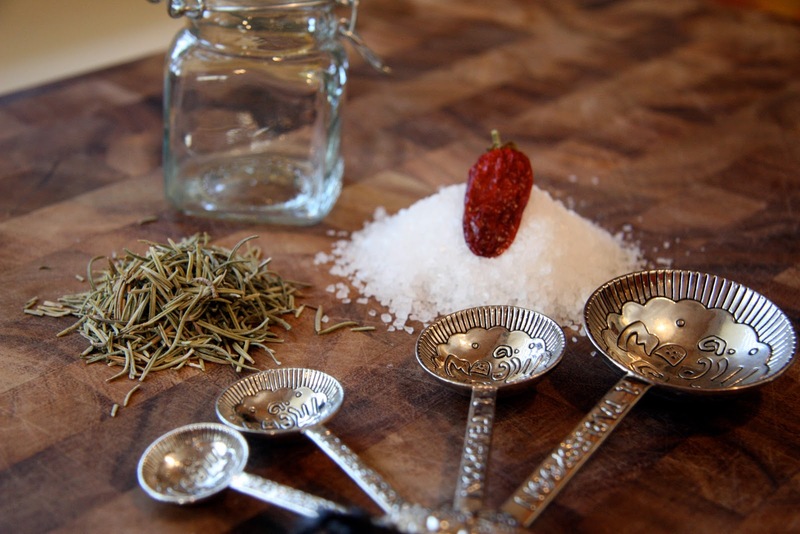 That's when I came across an old post on Kalyns Kitchen for Rosemary Salt. That was it! I needed do some fun seasoning mixes. Goodness knows I have plenty of dried homegrown herbs. In a small bowl I added the sea salt. Then I measured out the dried rosemary and crushed it in my palms before adding to the bowl. Finally, I ground the pepper in a mini-food processor and added it the bowl. I gently tossed all the ingredients together and very careful poured it into a small glass jar. In a small bowl I added the salt and black pepper. I ground the Chinese Five Color pepper in a mini-food processor and added it to the bowl. Then I added all the dried herbs to the mini-food processor and gave them a quick pulse. I just wanted to break them down a little, not pulverize them into dust. 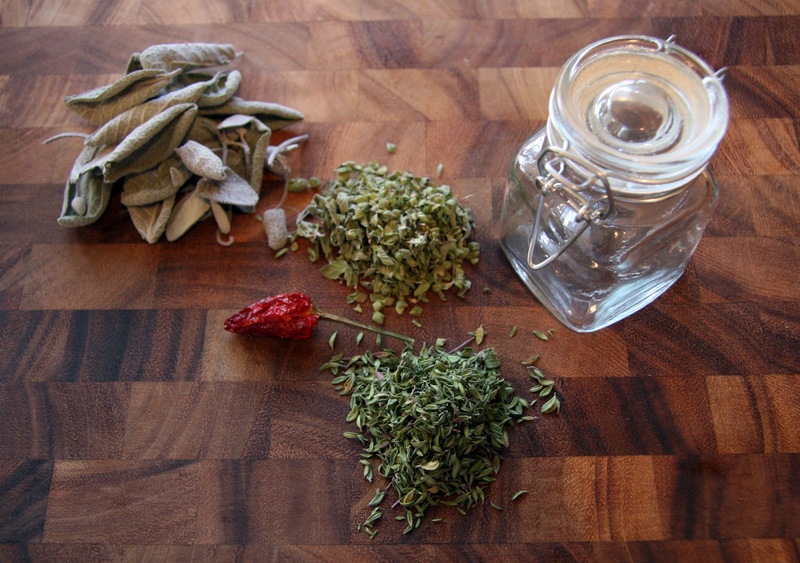 I added the pulsed dried herbs to the bowl and gently mixed everything together. Very carefully I poured the seasoning mix into a small glass jar. They were the perfect savory addition to a basket of jams and other local food treats. 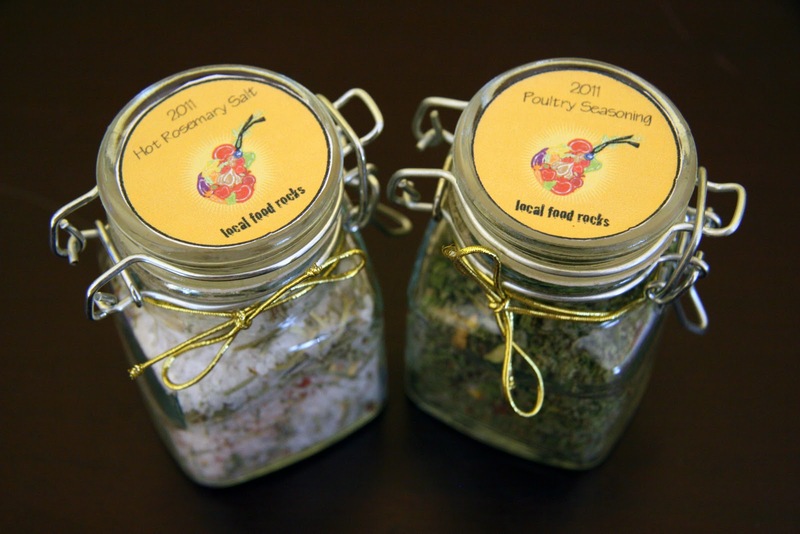 The Hot Rosemary Salt sounds delicious and I know just the person who will enjoy it!